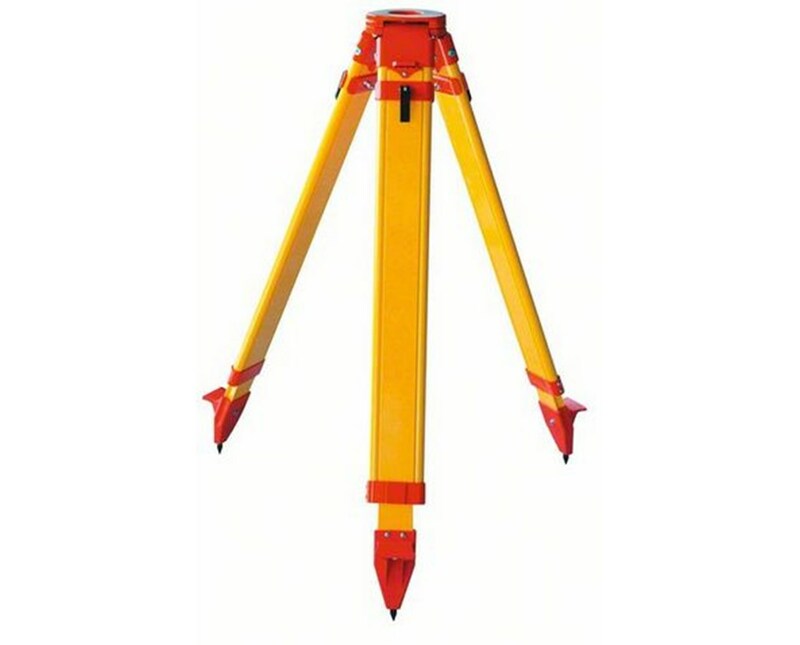 This heavy-duty tripod by CST/Berger utilizes quick clamp locks with metal-plated friction plate to allow fast, secure set-up and height adjustment from 42 inches up to 72 inches. Its flat head easily fastens any device that fits its 5/8-11 threading while the string hook permits using of plumb bob for perfect alignment and leveling. 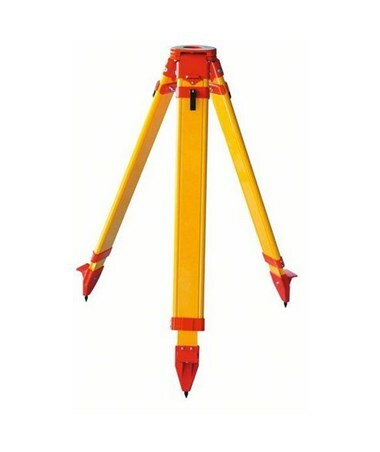 With its pointed metal feet, it stands steadily even on rugged terrains. For maximum portability, the CST/Berger Heavy-Duty Fiberglass Tripod includes a convenient shoulder strap and a protective tripod head cap. It also comes with a one-year limited warranty.